Anyone who has a little family member will agree with toddler’s exceeded interest towards adult’s items, but phones are the first among them. Well, after rebellious entertainment with your phone, the percentage of keeping it’s previous look is under discussion. And how can man solve this problem when they are simply addicted and if it’s forbidden then it’s even more attractive for ones’s minds. But if you have an iPhone, then the problem is considered to be solved, as Learning Touch company has developed First Words: animals app for your iPhone and iPad touch. First Words: animals app was specially created for your toddlers, making them smarter and cleverer. The developers had planned prior to make something profitable in addition to it’s challenging and entertaining character and it had worked. First Words: animals offers great colored graphics, dozen animated animals, learning letters visually, by names, learn their spelling and how to match them. 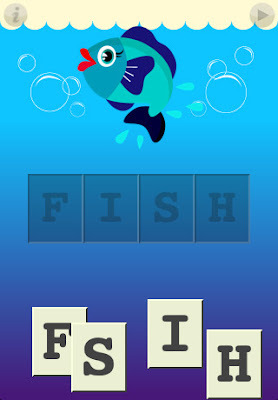 During the interaction game, kid has to match letters and put them together to make a word. While touching the letters they make sounds and if it’s spelled correctly child is hearing the whole word as well as watching the animal’s funny animation on the screen, giving it’s specific noise. 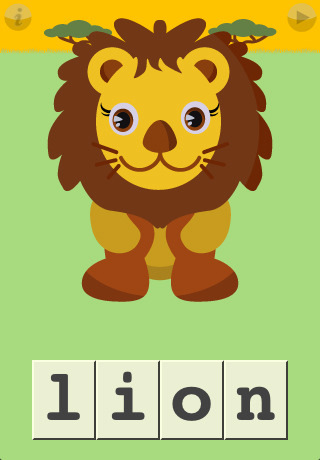 For example if the word is lion than a little lion appears on the screen roaring attracting kid’s whole attention. As a result this makes child delighted, addicted and serves for the development of one’s mental skills. In addition the touch interface of iPhone is easy for kid’s fingers to rule and the games simplicity enables him/her to play by themselves without adults help. Additional plus includes app’s accessibility for adults also and these information is approved by several videos spread through internet demonstrating parents interest and enthusiasm towards the game-play. Besides, Note that First Words: animals app’s iPad version has also been released and is available for iPad users.